This wooden puzzle is an hommage to the Bauhaus Dessau building: This model is one of the best way to celebrate the 100th anniversary of the Bauhaus school. The Bauhaus building in Dessau was built in 1925/26, following the designs by Walter Gropius. Today it is considered the architectural manifest of the Bauhaus idea. The Bauhaus building is composed of three L-shaped wings, interconnected in a pinwheel configuration. The first wing contained the teaching facilities. The studio building, the so-called Preller House, accommodated the originally 28 residential apartments for students and junior masters, whilst the workshops were located in the third wing. A single-storey wing connected the workshops to the studios. It also contained an assembly hall, the Bauhaus stage and the canteen. There is no central view of the Bauhaus building as such, rather a number of entry points that emphasise the various functions of the house. One has to walk around the building to appreciate the individually designed cubes and their purpose. 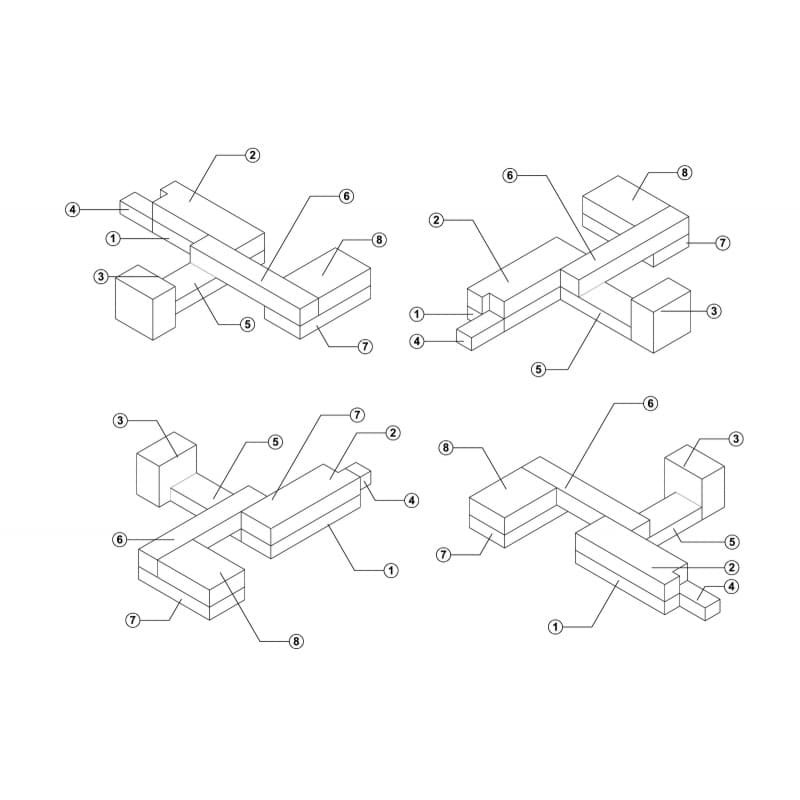 They reflect Gropius' concept of a 'large-scale construction kit': individually efficient building parts that connect to one another and result in one aesthetic entity.